BJP Parliamentary Board meets in New Delhi to discuss poll preparedness for upcoming elections. 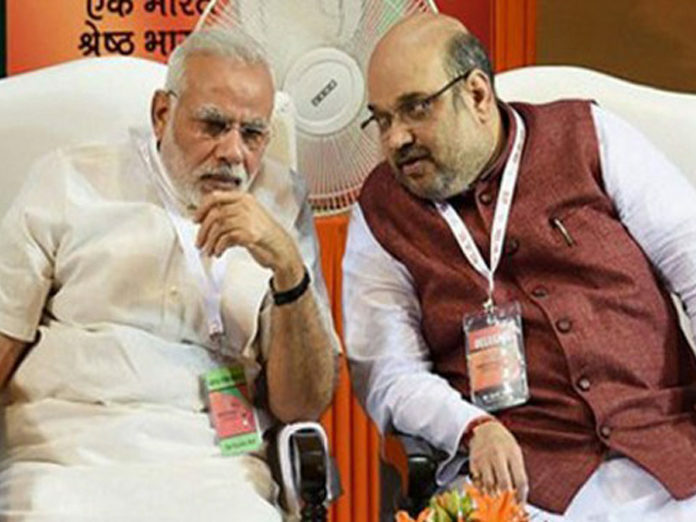 The BJP Parliamentary board met in New Delhi last night to discuss the forthcoming Lok Sabha polls, among other issues. Prime Minister Narendra Modi, party President Amit Shah and other members of the board attended the meeting. There was no official statement on what happened in the meeting, but the board is said to have discussed party’s preparedness and strategies for the elections. After the meeting, BJP general secretary Bhupendra Yadav said, the party will contest on 13 of the 14 Lok Sabha seats in Jharkhand, while All Jharkhand Students Union (AJSU) will fight on one seat. AJSU is already a partner in the BJP-led government in the state. Previous articleUSSOCOM commander meets Army Chief General Bipin Rawat.